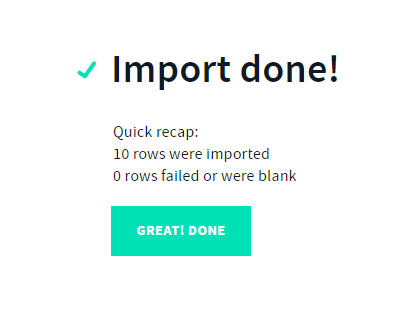 How Can I Import Data? You can import all of clients, income and expense transactions directly into the app via a CSV File. 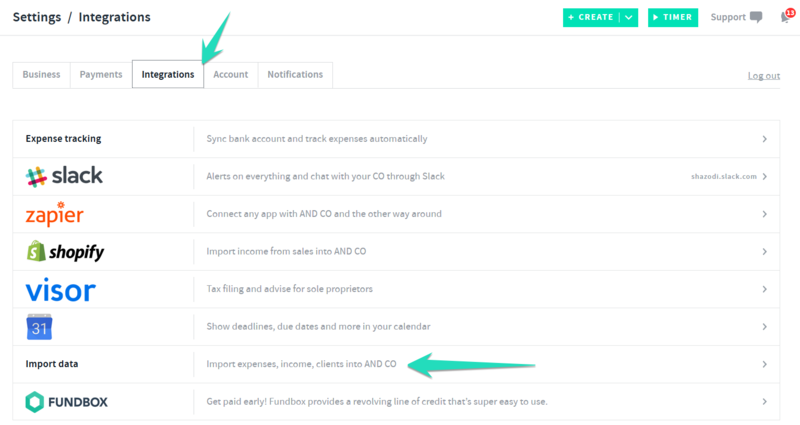 This is a great way to get started on initial set up as well as ongoing by importing in all those income/expense transactions and clients from your bank or previous accounting system! 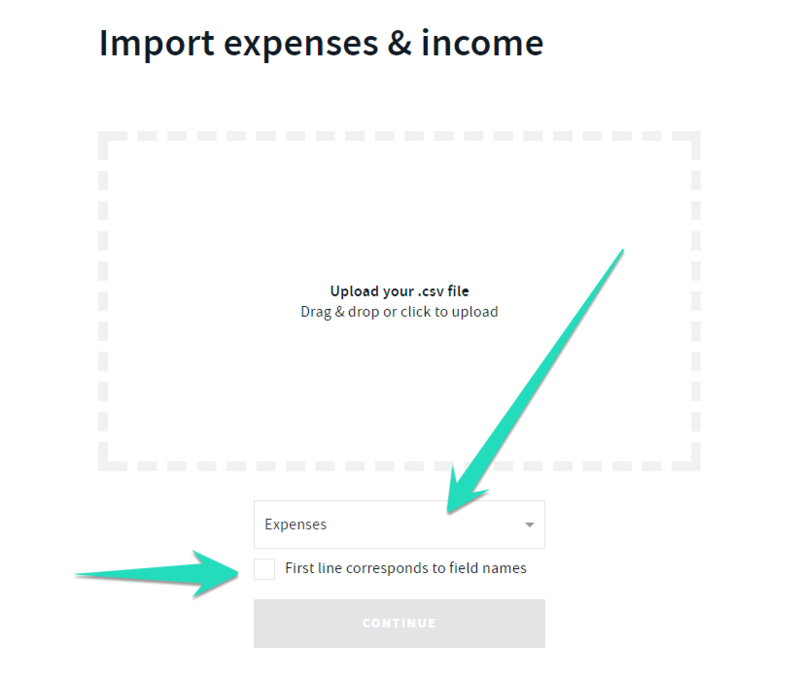 From the drop down select from one of the options, import, clients, income or expenses and upload your CSV file. Also, you can check the box for "first line corresponds to field names" if your CSV first line (headers corresponds to the column/field names). Once you have uploaded your CSV file you will see options to map your CSV file column headers into the import. See example for importing income. Once you have mapped all headers simply select > continue to complete the import. To View your income/expense transactions select the > income and expenses tab and remember to set the date range. You can also filter by income or expenses. The file imported MUST be in CSV format. You can edit income and expense transactions by selecting them and editing before saving your changes. The date format in your file must match the date format of your AND CO account (MM/DD/YYYY). The currency of the Income and Expense items you are going to import must match the currency of your AND CO account (USD).